The Federal Emergency Management Agency is planning the first revision in at least 20 years to the factors it considers when deciding if disaster victims should get federal aid like housing assistance. FEMA provides tens of billions of dollars every year to stricken states, communities and people, but the agency has been criticized for using archaic criteria to determine who's eligible. Under a new policy to take effect June 1, FEMA will for the first time consider a state's wealth in evaluating requests for federal housing assistance, unemployment benefits, legal aid and other help to disaster victims. The nation's seven most populous states have all objected, and Sen. Dianne Feinstein (D-Calif.) criticized the policy yesterday. The states say the change will make it harder for their citizens to get disaster money because populous states are wealthier than smaller ones. "States like Illinois will not fare well under the new methodology," the Illinois Emergency Management Agency told FEMA. The California governor's Office of Emergency Services told FEMA that the new policy is "discriminatory toward large states." Florida, New York, Pennsylvania and Ohio also objected. 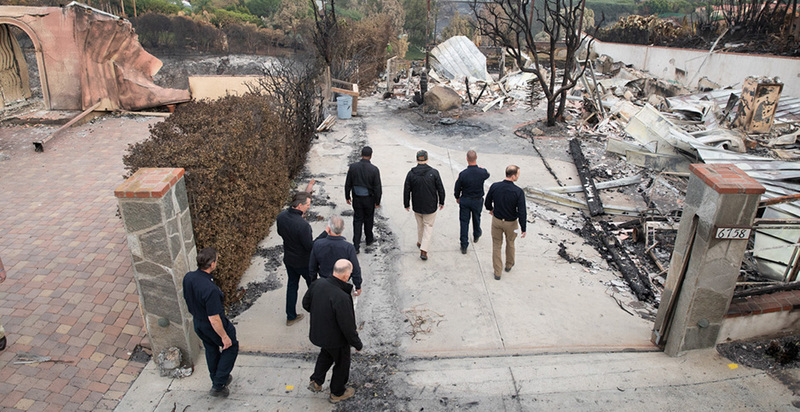 "It's troubling that on the tails of a record-breaking year of destructive wildfires and flooding, FEMA would institute new rules that may penalize California," Feinstein told E&E News in an email yesterday. "Given the catastrophic and unpredictable nature of disasters, it's unreasonable to assume that large states can consistently absorb the cost of recovery." Chad Berginnis, executive director of the Association of State Floodplain Managers, applauded the new policy, saying that tougher FEMA scrutiny of disaster requests might encourage states to do more to protect against flooding. "Everybody has a role in recovering from flood disasters, and we should never pin it all on the federal government," Berginnis said in an interview. FEMA says it "does not expect" the new policy to change the total amount of aid it gives disaster victims nationwide or how it rules on state requests. The agency disclosed the policy in a notice published in the Federal Register on March 21. The new policy "is expected to result in comparable recommendations in the future," FEMA said in its notice. FEMA does not approve state requests for disaster aid and only makes recommendations to the president, who has the final say. The new policy affects only disaster relief paid by FEMA and not the tens of billions of dollars of aid the Department of Housing and Urban Development and other agencies have allocated in recent years. The policy also affects only FEMA disaster relief that goes directly to individuals and not the much larger portion of disaster aid that goes to states and municipalities for cleanup and infrastructure repairs. Individual assistance accounts for about a quarter of FEMA disaster aid. FEMA's policy change comes during a tumultuous period as record-setting hurricanes and floods have led Congress and the White House to approve tens of billions of dollars of aid in the past two years. President Trump signed a law in October broadly aimed at improving FEMA's response to disasters by among other things directing more money to disaster prevention instead of recovery. Congress recently started the process of overhauling disaster programs that provide property owners with flood insurance and that give states and municipalities HUD dollars to rebuild infrastructure and homes. FEMA's method of evaluating state requests for agency funds has come under scrutiny as the number of presidentially approved disasters — and their cost — has soared since the 1990s. Some disaster experts and members of Congress have called on FEMA to tighten eligibility standards so aid goes only to disaster-stricken states and not to states digging out of snowstorms. In early 2013, months after Superstorm Sandy battered the East Coast, Congress and President Obama enacted a law requiring FEMA to revise its method for evaluating state requests for disaster aid to individuals and to develop "more objective criteria." The law directed FEMA to make the revisions "in cooperation with" state and local emergency management agencies. The policy taking effect June 1 mirrors a proposal made in 2015 by Craig Fugate, who ran FEMA under Obama. FEMA will continue to consider a disaster's impact on infrastructure, homeowners and renters. The agency has long considered state population when assessing damage. But under the new policy, FEMA will consider a state's "fiscal capacity" instead of its population. The revision will assess more accurately whether a state can pay for disaster recovery itself or if it needs federal help, FEMA says. Under long-standing federal law, FEMA aid is reserved for disasters that are so severe that they are "beyond the capabilities" of a state and its communities. FEMA will measure fiscal capacity primarily by looking at the "total taxable resources" of each state. The Treasury Department determines taxable resources by considering factors such as personal income, corporate profits and commuter income to measure a state's ability to generate revenue through taxation. Total taxable resources are used to allocate some federal block grants. FEMA also will consider per capita income in an area directly affected by a disaster. Berginnis of the floodplain managers association said it's appropriate to consider a state's revenue potential instead of the revenue it actually generates. "We've seen in the past where a state or community will plead poverty, but the 364 days a year that they're dry and sunny, they may boast of low tax rates," he said.